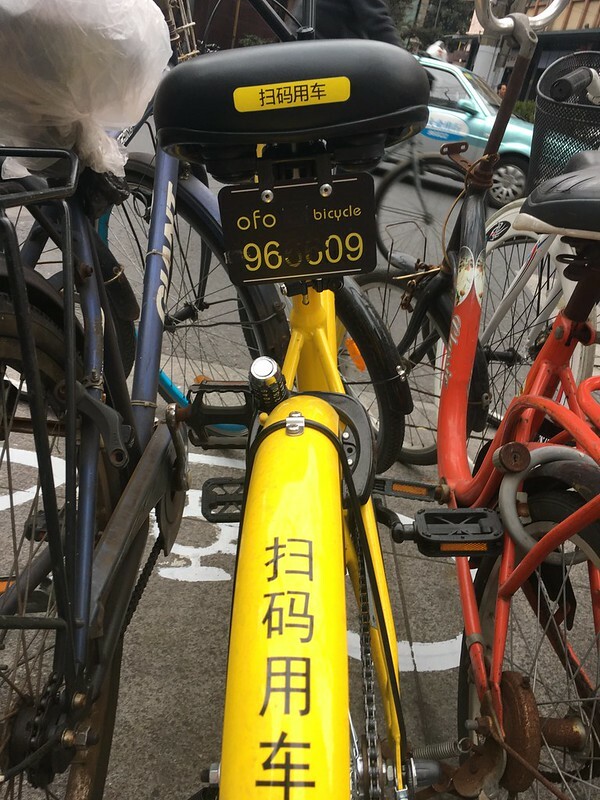 The quality of the OFO bikes is also quite poor. There is almost always something wrong with the bike: soft brake, crooked seat, unbalanced wheels, etc. My go-to bike is the new Mobike Lite, which is cheaper, lighter and has a basket. Win-win! 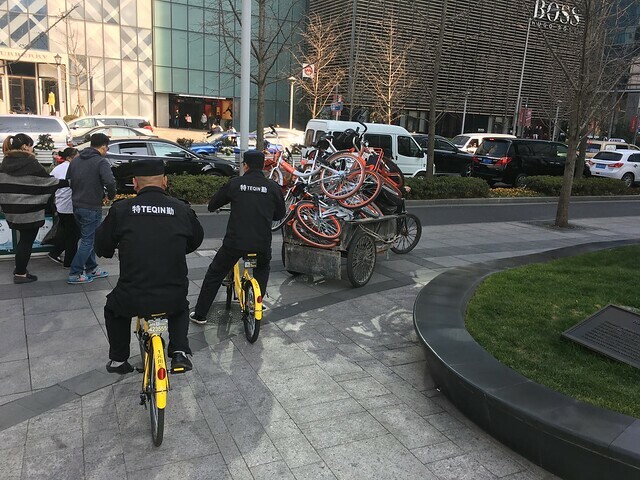 yes, OFO doesn’t seem sustainable at all… I was also thinking that without GPS, how are they going to even try to maintain the bikes? one note, I used OFO and the QR code can be use to get the unlocking code as well. Very nice article, thanks! 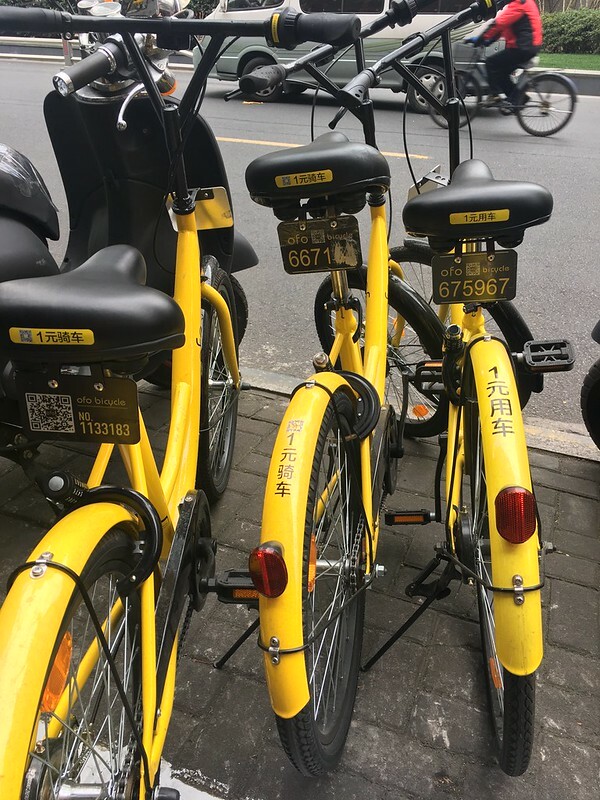 I wondered why so many Ofo bikes are just left broken on the streets here in Shenzhen. Lack of GPS tracking might explain why. The 特勤 (just security) guys are probably taking overflow from outside an area flooded with bikes. They’re most likely riding ofo because, as you and everyone else has pointed out, they are easy to use. 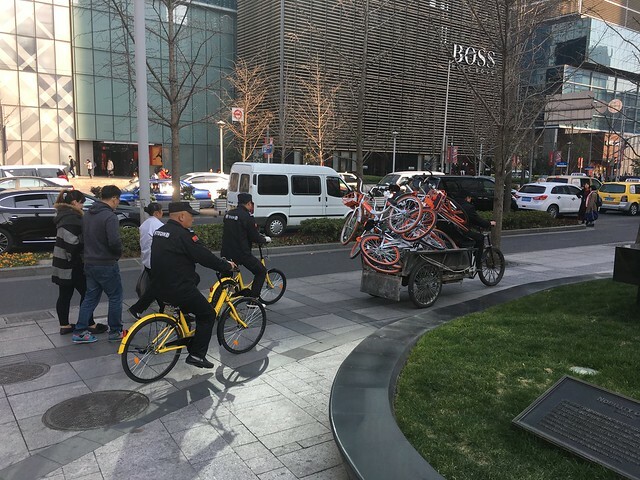 The reason the two guys are following on ofo’s is that they need to help him unload. When you hear hoofbeats, don’t think zebras. As for who illegally sabotages and moves bikes, China Daily says that most often it’s black cycle drivers, to make sure commuters have no alternative transportation. 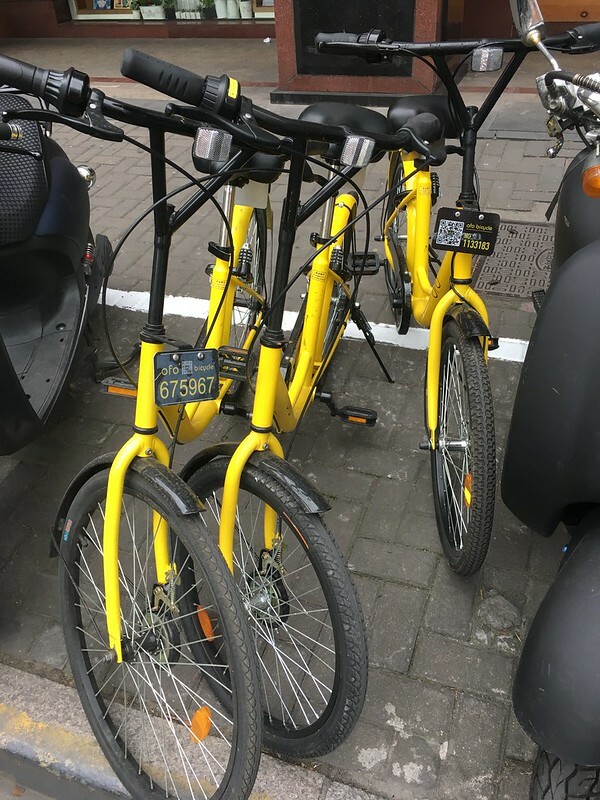 Are you saying there is no GPS in these ofo bikes and therefore, no way for the company (or the police!!!) 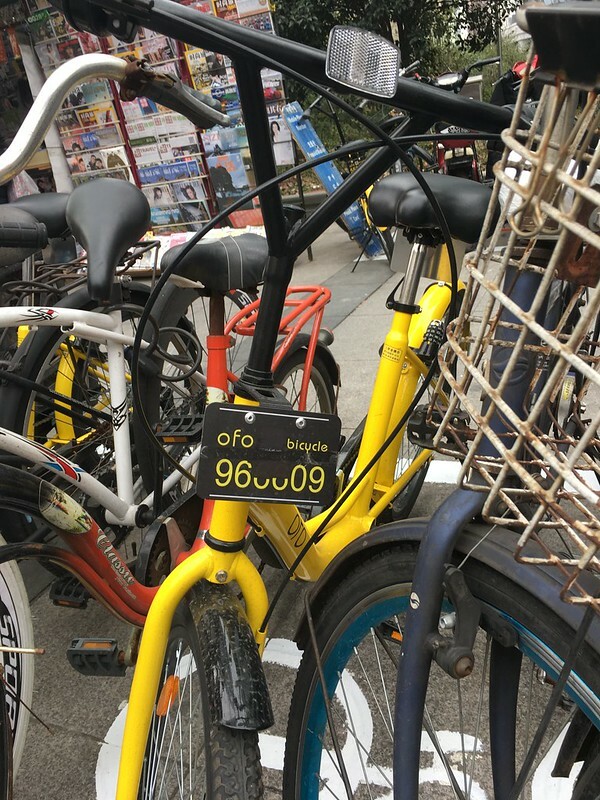 to track the ofo bikes?? ?